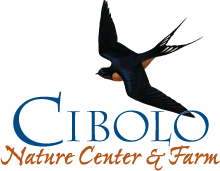 There are a variety of ways to make a difference at the Cibolo Nature Center & Farm for future generations, the health of the Hill Country, and the well being of the region. The CNC&F does not receive federal, state, or local funding for programs. We are 100% community supported. Become a Natural Partner. Click here to learn about our corporate engagement program.